March with ACCM in Pride Parade! 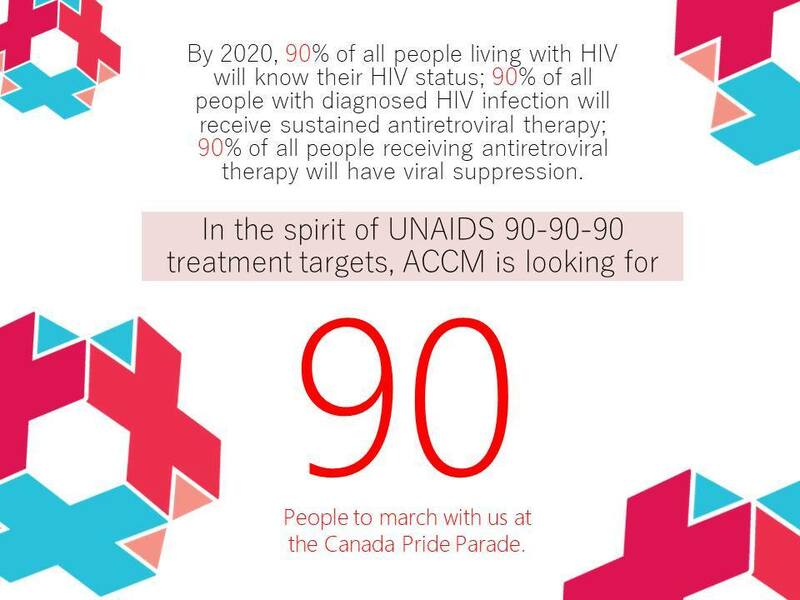 In the spirit of UNAIDS 90-90-90 treatment targets, ACCM is looking for 90 people to march with us at the Canada Pride Parade. Join us in celebrating our 30th anniversary by marching with us on Sunday, August 20th 2017!